I am currently working for a team that is about to build a web frontend for their in-house legacy system. The web frontend is basically a greenfield project, and the team can freely choose their technology stack. I developed a small technology prototype in AngularJS and React. For both solutions I used npm and webpack as a build environement. 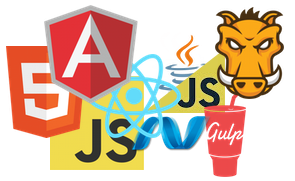 In the AngularJS solution I used TypeScript and in the React solution I used ES2015 (formerly ES6) and Babel. I presented both solutions to the team, and let them decide which stack they like to choose for the actual project. The team decided that they felt more comfortable with the solution based on React. AngularJS is currently in a strange state, since Angular 2.0 is announced and hyped but not ready for production yet. If you start a project based on AngularJS now, you get the feeling that you are writing in a legacy technology right from the beginning. 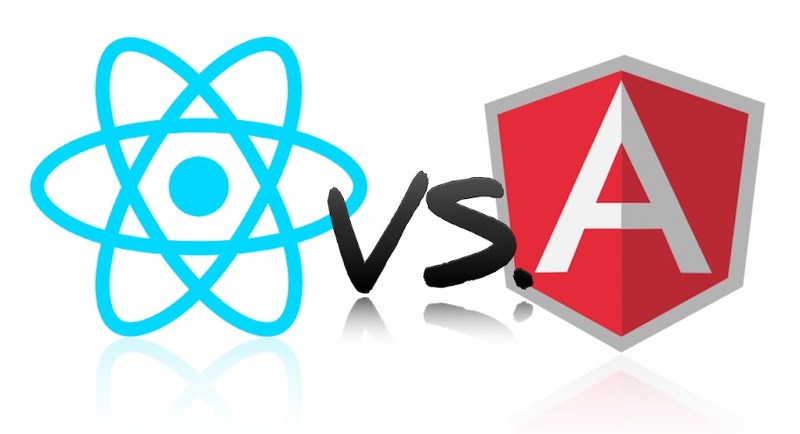 The React solution left a conciser impression and was clearer to grasp by the team. For example to realize a “component” in AngularJS you have to understand Directives (a DDO is pretty arcane for a newbie) and the implementation is spread over several entities (DDO, controller, template …). In contrast to that the approach of React to components is much easier to grasp.